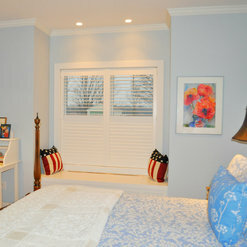 Shutters work for any room in the home! Cell shades on lake shore! Buyer beware!!! I had custom window treatment made for all the window in my house. 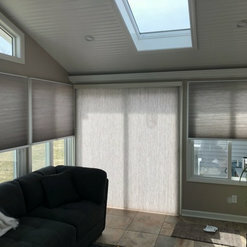 When I purchased them, I was told I could have the blinds converted to top down bottom up if I changed my mind (additional cost) but could do it. I called to have my last two blinds converted. I was told they do not do any conversions. I pushed back and told them that they have already converted 6 of my 8 blinds. I was told they would do the conversions and I would need to buy new blinds. Really??? No, thank you. If I have to buy brand new blinds, I will not be purchasing them from Gordon's Window Decor. 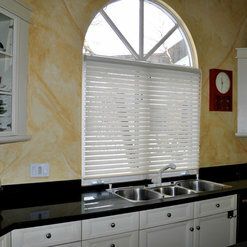 Think long and hard before choosing to spend a lot of money on custom blinds. I apologize for your frustration. I just spoke with Nick regarding these conversions. It sounds like what he was trying to explain was that we could do the conversion but we found that the rate we had been doing them years ago was not at all sufficient to cover our costs so we stopped offering them in general. When we looked at the conversion process we realized that the steps involved were far more then in the build of a brand new shade (we need to take the shade apart, recut the fabric and recut the metal because there are different deductions, redrill the fabric, cut new rail, add an additional clutch and reassemble the entire shade.) All of that being said, more then anything, we are invested in making sure our clients are raving fans- as a small company in a small state every client matters. What can I do to renew your faith in our company? 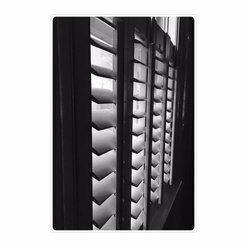 I worked with Gordon's Window Decor ordering insulated cellular shades for my home in West Roxbury, MA, on the web but mostly over the phone. They sent samples quickly and easily clarified my understanding of the different options I had for cordless, top-down/bottom-up/, standard, etc. I even decided to motorize our TV room, and they worked with me to help figure that out! In the past they have done soft treatments for me (gorgeous! 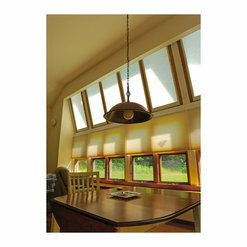 ), and they have always been able to figure out solutions for my windows - skylights, sliders, etc. I use my shades everyday in a not so gentle way, and everything stands up great. 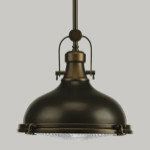 Excellent quality, fantastic product knowledge and I love the fact that it is a family owned and operated business. 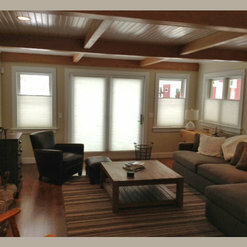 Gordon's helped make my home more comfortable, and worked with me to create a look that is casual, yet refined. 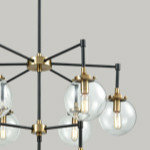 I am a satisfied customer and recommend them highly. 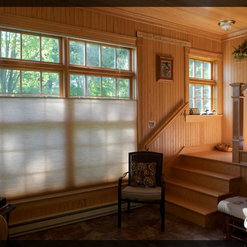 I frequently source the window treatments for my clients from Gorden's. The staff is friendly and knowledgeable. They will come out to the site to measure the windows and install the finished product. Their turn around time is average and they have great customer service. I have been working with Gordon's Window Decor for about 10 years in a professional capacity. 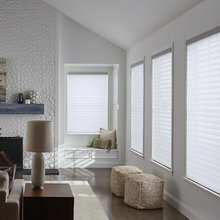 We also buy EcoSmart cell shades from them. Gordon, Kelly and the team are awesome. 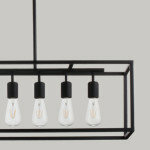 They have very high quality standards for their product and they really push products made in the USA. Gordon is a leader in motorization as well as energy efficiency. I highly recommend working with Gordon's if you want great service and high quality products! Very professional service and very fast turn around. 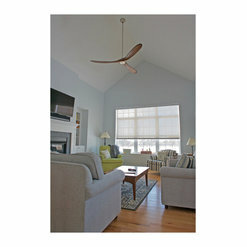 The shades are beautiful and have drastically reduced heating and cooling costs. Highly recommend. 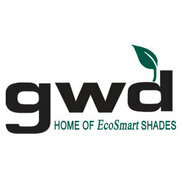 We purchased EcoSmart Shades from Gordon's in 2011. Since that time we have had to have multiple shades repaired (at our expense) and we continue to have problems with them to this day. Definitely NOT worth the "Gordon's" price tag. I am so sorry about all of that- that sounds incredibly frustrating. I really do want to get to the bottom of this- all of our EcoSmart Shades carry a 10 year warranty so the repairs you needed should have been free of charge. I would really love it if you would reach out to me 802-338-9344 or my email is kellyc@gordonswd.com so I can pull your file to find out what is going on. Gordon's put insulated blinds in all of our downstairs windows. They are beautiful and versatile, raising from top or bottom. They provide both privacy and insulation. The service was amazing! 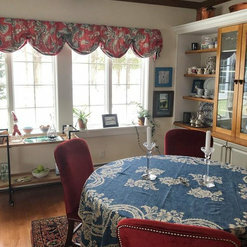 Gordon's supplied me with roller shades, and I was thrilled both with their attention to me as a customer and the high quality and gorgeous looks of their shades. We live far from any installation, but we purchased them online and followed the clear instructions on installation. I'm glad to say the colors I chose from their samples, which they kindly provided, wound up looking great. The roller shades had a sturdy bead chain, and the color (galaxy I think) was perfect for my space, which had warm paint tone on the walls. As a result, I cut down on the blinding mid-morning sun, and got the benefit of a cooler home in the process. So much more aesthetic than sheers or drapes. Gordon's Window Decor offers a ton of selection and very high quality products. 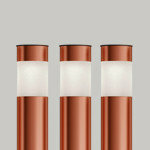 We have installed 9 eco-shades in our house in three different styles. I love having the options for the top down/bottom up so we can let light in but not let neighbors see in the windows. 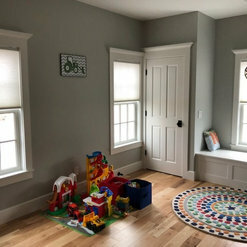 The room darkening shades really do the job and have been great for our son especially on those long summer days when it is still light at bedtime!. The last design we have is a standard pull up shade but without light blocking, which is great as the room still gets a lot of sunlight but I am not blinded by the sun. Our house gets a lot of sunlight and so having such high quality shades with so many options has been ideal for us. I would highly recommend Gordon's shades to anyone, the quality is worth it! Thanks! We are so glad that the shades are performing so well for you! We appreciate the kind words! 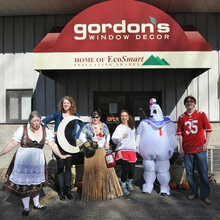 The Gordon's Window Decor Family! 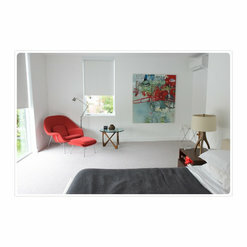 Gordon's Window Decor commented on a discussion: What window treatments for this street facing bedroom? 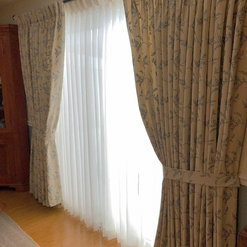 Gordon's Window Decor commented on a discussion: Best method for adding trim to curtain panels? 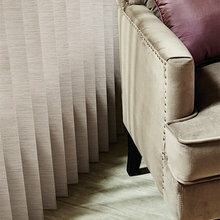 Commented: Best method for adding trim to curtain panels?Sew, sew, sew it on. I agree with the others, trim should be inset just a wee bit. Love your trimming! Can't wait to see it complete! Commented: Before and After Manhattan NY - Park AvenueDYNAMITE! Bravo on this project! Commented: Window TreatmentI agree with everyone here! Drapery panels! Go light, perhaps even linen. Cannot wait to see the finished treatment!